The map below is the result of a U.S. Gulf-wide microplastic sampling project. 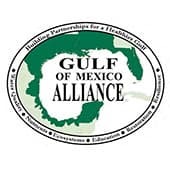 The Gulf of Mexico Alliance Gulf Star Program provided funding for this citizen science project. 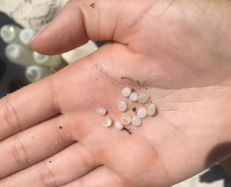 Citizen scientists collected and counted microplastics in sediment and water samples across the US Gulf coast. 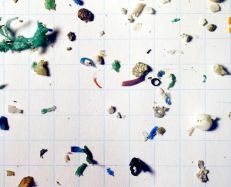 The numbers of microplastics displayed are from 1-liter water samples and 0.25 square meter sediment samples. 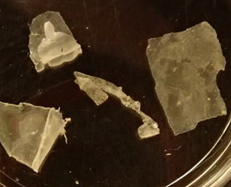 Sampling details are described in the reference materials below. Data is presented in a size and color gradient. 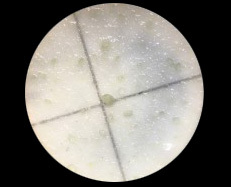 For example, larger and darker circles have the highest concentrations of microplastics. To operate the map, zoom to your desired location and hover over an individual data point (white, blue, or red circle). A box will pop-up showing you the date that sample was collected and the number and type of microplastics found. If you are only interested in a specific size or type of sample (water or sediment), you can turn data layers on and off using the box in the upper right corner of the map. 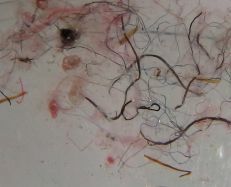 Below you will find a link to the full dataset, some photos of microplastics, and reference materials. If you have questions or want more information about the project, please email Eric Sparks at eric.sparks@msstate.edu.